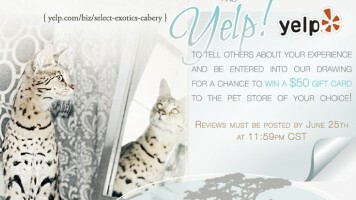 Calling all Savannah Cat Enthusiasts! 2) Create a Pinterest board titled “Select Exotics’ Savannahs.” Use the Animals category for your board. 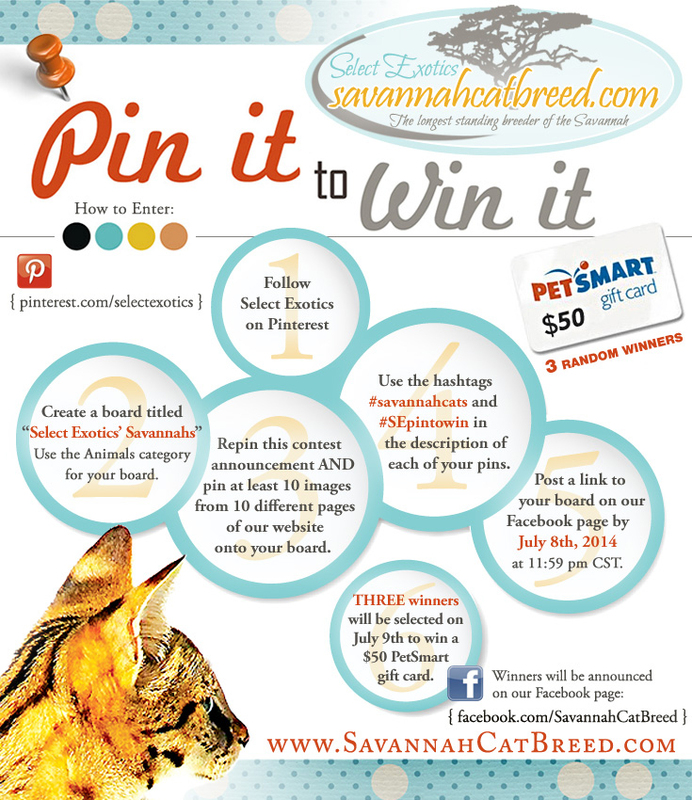 4) Use the hashtags #savannahcats and #SEpintowin in the description of each of your pins. 5) Post a link to your board on our Facebook page (facebook.com/SavannahCatBreed) by July 8th, 2014 at 11:59 pm CST. On Wednesday, July 8th we will enter all participants into a drawing where three winners will receive a $50 Petsmart gift card. The winners will be announced on our Facebook page.